Bahrain is hosting the first Bahrain Restaurant and Hospitality Forum (BRHF), organized by Culinaire & Beyond, from May 21-22 at the Bahrain International Exhibition and Convention Center. Held under the patronage of Shaikh Khalid bin Humood Al Khalifa, chief executive officer of the Bahrain Tourism and Exhibition Authority (BTEA), the forum is strategically supported by the BTEA and Tamkeen, which seek to stimulate the launch of new projects and expand the scope of small and medium-sized businesses in the restaurant and hospitality sector, both locally and internationally. Culinaire & Beyond is the authorized licensee of The Next Idea [International], a global hospitality and restaurant consulting group based and registered in the US. Representatives from Culinaire &Beyond’s US partners including Robert Ancill, chief executive office of The Next Idea; Thelma Weaver, senior consultant of The Next Idea; and Phillip Gay, chief executive officer of Triple Enterprise, will be present during the forum and will play an active role in sharing their experiences and key trends in both sectors. Culinaire & Beyond is also thankful to the Gold, and Silver Media and event partners for trusting in the potential of this forum and helping to make it a huge success. “The BTEA is committed to supporting initiatives aimed at boosting investments in Bahrain’s tourism sector. Restaurants and hospitality facilities are the most important aspects that help to enhance the experience offered to visitors. 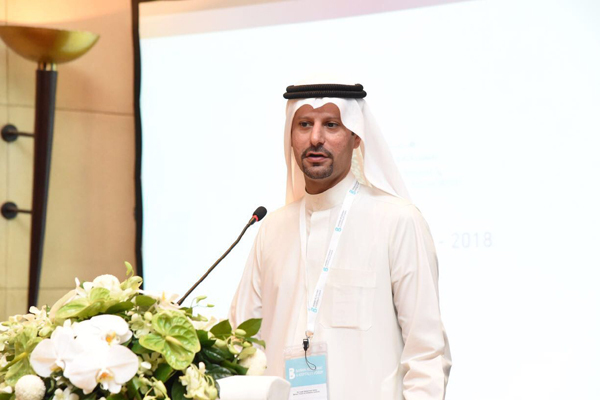 We therefore encourage this forum, which is in line with the Authority’s long-term strategy to make the Kingdom a leading regional center offering a diverse and distinct variety of restaurants and hospitality facilities,” said Shaikh Khalid. The BRHF 2017 has also invited young Bahraini concept owners such as Dona Murad from Hopscotch, and Rob Nakfour from Grub Shack to share their entrepreneurial journey with the audience. The purpose of sharing local success stories such as that of Sawsan Baluch, the chief executive officer of My Café, was to convey the commitment and passion it takes to execute an idea. The forum also includes prominent speakers such Shaikh Rashid Bin Khalifa Al Khalifa, general manager of Peninsula farms. BRHF 2017 is also fortunate to host an esteemed panel of speakers during the event including: Celebrity Michelin-Star executive chef Francesco Brocca, developer of the Cavalli Group; Chris Tapirdea from Asia De Cuba; Andre Gerschel from Baker & Spice; Jean-Paul Dantil, general manager of the Ritz Carlton; Yousif Al Khan, director of Tourism Marketing and Promotions at the BTEA; Jesus Florido-Banqueri, advisor at the Bahrain Tourism and Exhibition Authority; and Khalid Rabeea Hussain Of the Ministry of Industry and Commerce and Tourism.